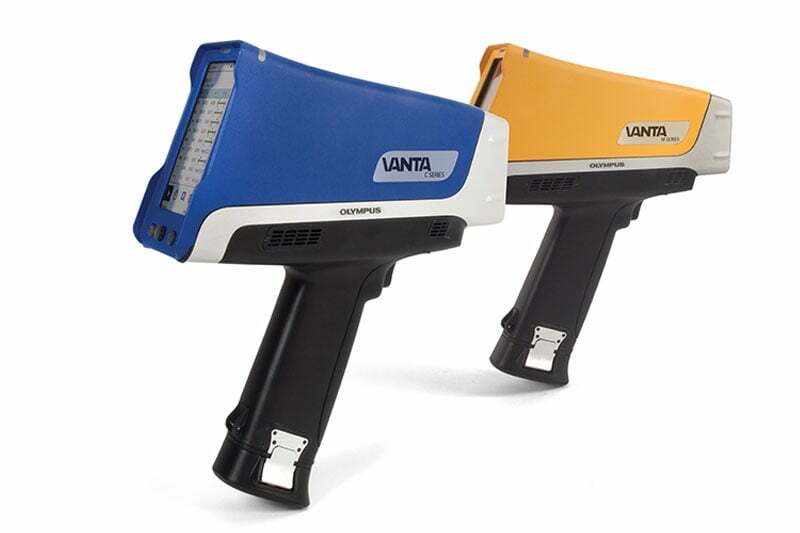 The Vanta XRF PMI Analyzers are durable and reliable for any job in any environment. They provide highly specific material chemistry to quickly and accurately identify pure metals and alloy grades. 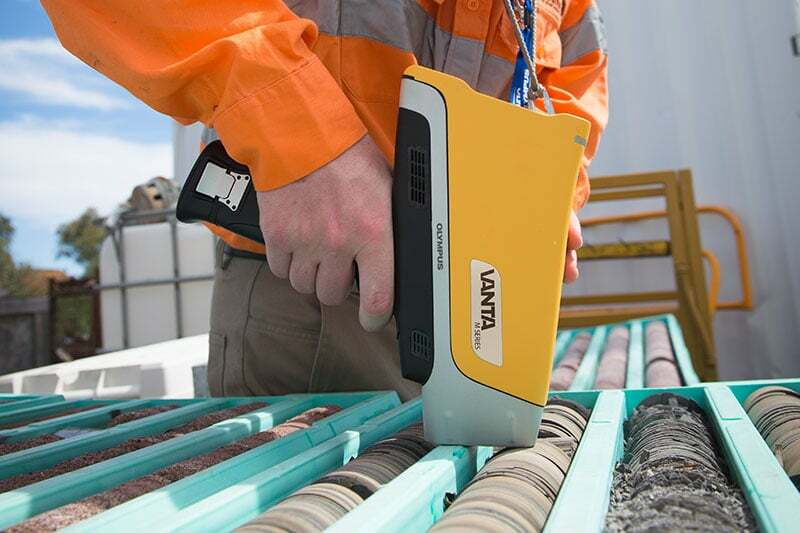 With Vanta analyzers, inspectors can quickly determine correct alloy installation in critical locations. Vanta analyzers for PMI include innovative software features that enable inspectors to make accurate inspections with minimal training. When inspection professionals need a reliable analytical tool to provide fast and accurate PMI data, they turn to Vanta analyzers. 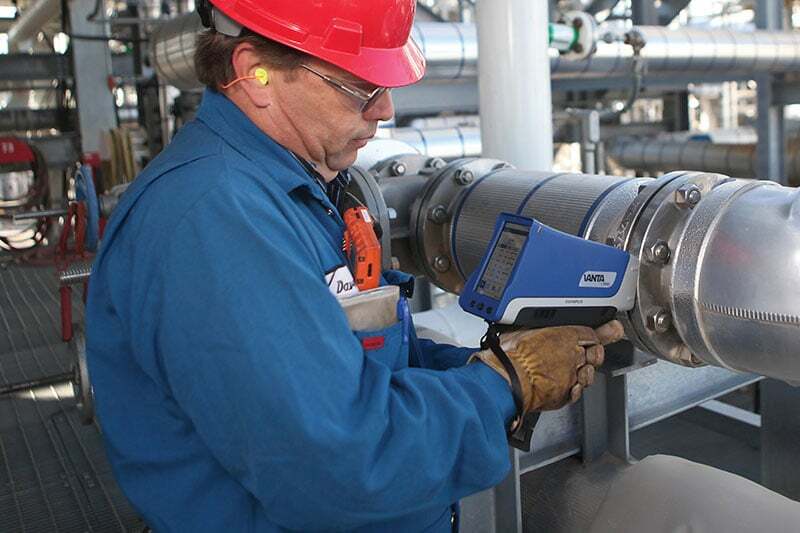 From piping, valves, welds, and components, to pressure vessels, Vanta analyzers provide anywhere, anytime testing with accurate and repeatable results. Contact us to find out more about Vanta XRF PMI Analyzers or any of our other non destructive testing equipment, or request a quote online. Our most powerful Vanta analyzers feature exceptional performance to handle the most demanding applications. Each M Series analyzer comes equipped a large-area silicon drift detector, your choice of either a rhodium (Rh) or a tungsten (W) anode, and a 50 kV X-ray tube. The C Series combine value with superior speed, limits of detection (LODs), and elemental range. Each C Series analyzer is equipped with a silicon drift detector and your choice of an Rh or W anode 40 kV X-ray tube, or a silver (Ag) anode at 50 kV X-ray tube. Get the ruggedness, ease of use, and data management features of Vanta analyzers in a cost-effective PIN instrument. The L Series is designed for maximum uptime and a lower cost of ownership for reliability in the field. USB (2) USB 2.0 type A host ports for accessories such as Wi-Fi, Bluetooth®, and USB flash drives. (1) USB 2.0 type mini-B port for connection to computer. The DELTA Handheld XRF Analyzer is a portable, convenient and reliable handheld device that offers fast, non-destructive alloy and metal identification. Thermo Scientific Niton handheld x-ray fluorescence (XRF) analysers will transform your materials analysis, delivering highly accurate results in seconds. The MF300F+ is one of the most popular magnetic meters from the impressive range, with innovative magnetic design, whilst being lightweight and durable.